Over the Australia Day/Survival Day long weekend, this year's biggest celebrations were officially live on Perth's 100.9FM Noongar Radio – eleven hours of live broadcasting, three events and three big days of culture and celebration. The City of Perth’s Australia Day Long Weekend officially launched with a spectacular broadcast on Noongar Radio live from Forrest Place, in the heart of Perth's CBD on January 25. Hosted by Drive’s smooth-talking Jeff Michael and WA's original Aboriginal broadcaster Afternoon’s host ‘Uncle’ Jeremy Garlett, crowds gathered to celebrate Noongar culture together with some of Perth's most talented Indigenous performers. Traditional Aboriginal dancers, one of Australia’s most admired entertainers Phil Walleystack, (both a presenter and a chairperson at Noongar Radio) and internationally acclaimed Reno James (affectionately known as “Australia’s black Elvis”) all took to the stage but perhaps the highlight was reserved for Delson Stokes, popular singer/songwriter and former NAIDOC Male Youth of the year from Kalgoorlie’s Yabu Band treated audiences to a moving version of “I am Australian” translated into the Wongatha, dialect of the Western Desert peoples. Elder and campaigner, Herbie Bropho told Jeremy Garlett, “As you know Australia Day is getting closer, or as we call it, Invasion Day...you must understand that we are still hurting. Every day you celebrate your Australia Day you are celebrating murder and killing off Aboriginal people. It's all about sitting down and listening to Aboriginal people and talking about their culture.” Elder Herbie added. January 26 and another big event as Phil Walleystack presented Wandjoo Birak live from Perth’s Supreme Court Gardens. Wandjoo translates to welcome in Noongar and Birak is Noongar's summer season. Birak is the Noongar season for December and January. During this time the Moodjar tree flowers bright orange. These trees are known as the Noongar Christmas Trees. Delson Stokes, of the Yabu Band, had one poignant but simple request in regards to the change the date debate…..
"Just have a listen to our story before you go making any arrangements,"
A spectacular atmosphere attracting a massive crowd 20,000 strong celebrated with a line up consisting of a who's who of first nations music including Dr Richard Walley, Nyirie Kickett, Theona Councillor, David Pigram (of the Broome based Pigram Brothers), the Justin Bieber-esque sounds of The Rueben Brothers, old school hip hop act, Downsyde featuring Beni Bejah and a cameo from their young daughters, Pipeline, the self-proclaimed black Queen of the Kimberley, Mary G, Hot Likwid' s Natasha Eldridge and all-time Noongar favourites, Yabu Band. A special applause was reserved for the Invasion Day rally that set off a few kilometres away in Perth’s Forrest Place and concluded at the Supreme Court Gardens. Special guest was Dylan Voller, who's story came to light via the Four Corners Don Dale expose'. And last, but certainly not least, on Saturday 27th January, Australiana Film Night with Phil Walleystack and Ernie Dingo from Perth’s nightlife district at the Northbridge Piazza. What better way to experience Bran Nue Day than with the cheeky Uncle Tadpole in the house along with didgeridoo and traditional dance! Western Australia’s first Aboriginal broadcaster Jeremy Garlett was in attendance of all 3 events. “I saw beautiful young people, black and white demonstrating the truth.” These events could potentially plant the seed of positive change in Western Australia and nationwide. 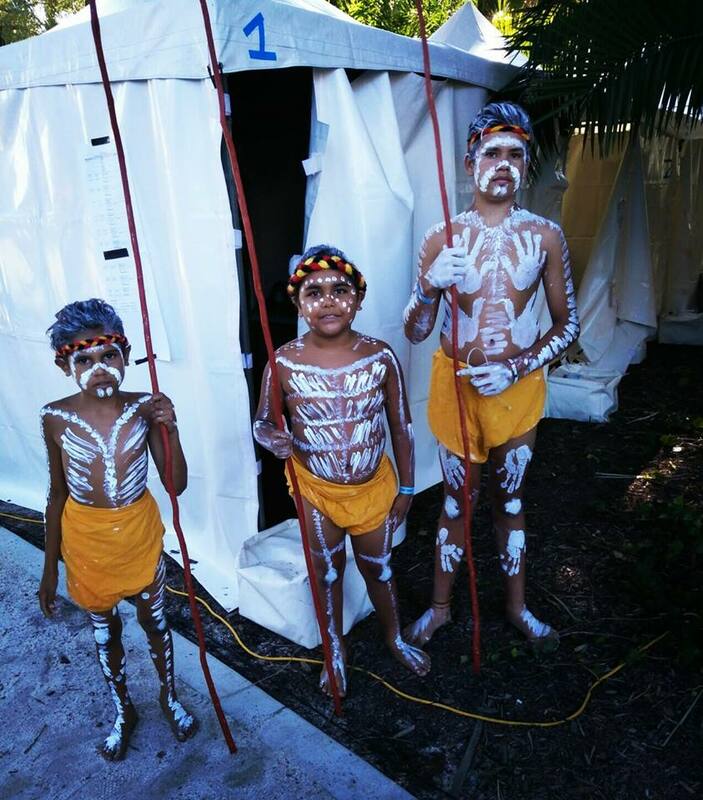 In Noongar country, Perth stood united in celebration of survival of the First Nations people.